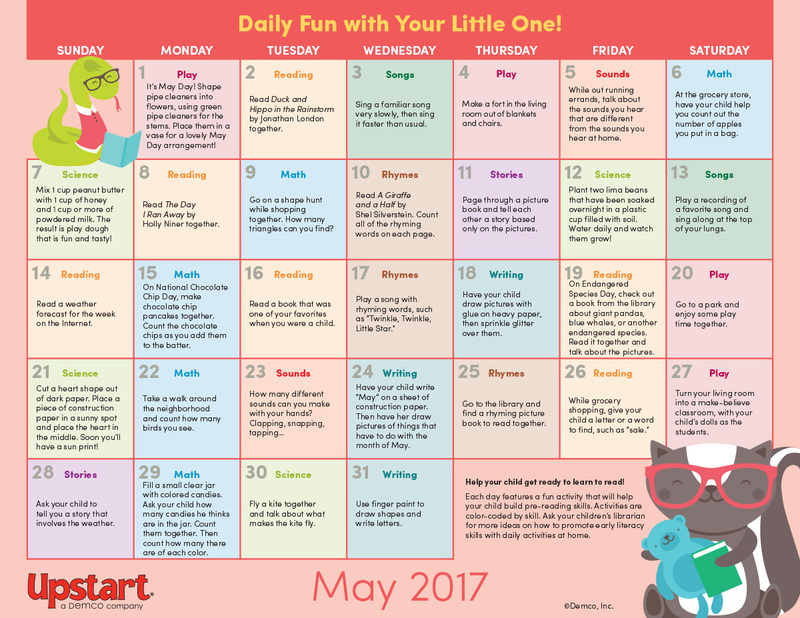 Celebrate spring with early literacy fun! Parents will love these simple ideas that they can use at home with their kids to boost literacy skills. Kids and parents alike will have a blast making spring crafts, doing simple science experiments, singing silly songs, making yummy snacks and much more! 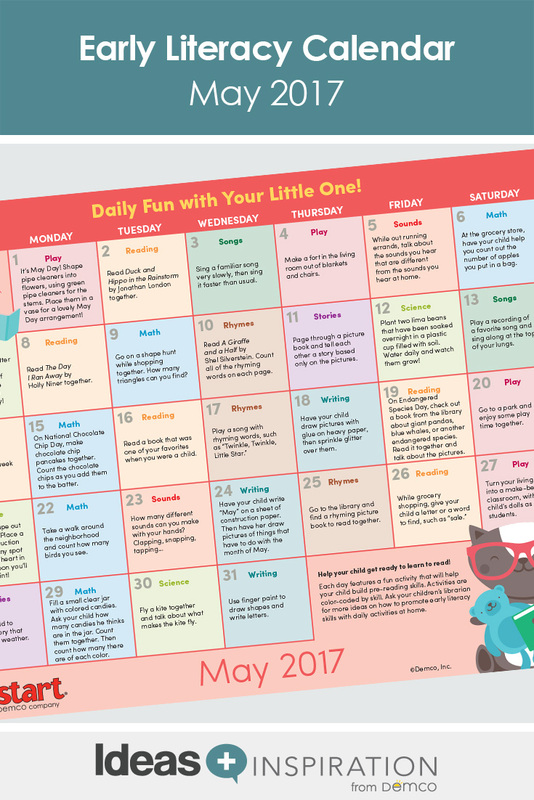 Download the May Daily Fun With Your Little One calendar. Upstart Editor at Demco, Inc.
Elesa is the editor for the Upstart brand at Demco and manages the content for the Collaborative Summer Library Program manuals. An avid lifelong reader, she is passionate about helping librarians inspire kids of all ages to love reading.